Findings from the published ACHEON study revealed inadequate pain relief for chronic non-cancer pain (CNCP) across 10 Asian countries/regions. Hence, we performed additional analyses on the survey data to understand management practices for relieving CNCP and treatment-related adverse events (AEs). Descriptive statistics were used to summarize patients’ profile, prescribed treatments, and associated AEs. Two-sample t test was used to compare pain levels between treatment groups. Univariate analyses were conducted to identify factors associated with pain intensity, presence of any common AEs, perceived treatment adequacy, patient-physician interaction, and employment status. Of 1305 patients surveyed, the median duration of CNCP was 24 (interquartile range, 39) months. 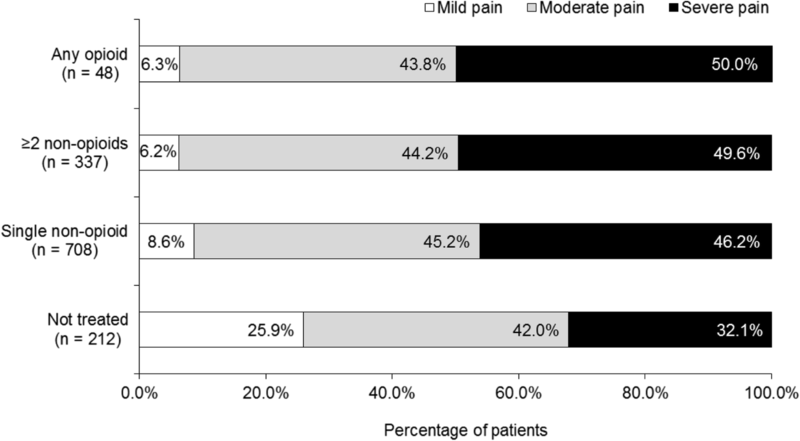 The majority of patients (89.3%) reported having moderate (44.4%) or severe pain (44.9%). Most patients (80.1%) were prescribed non-opioids, while 16.2% of patients were untreated for pain. Although over half of the treated patients (53.8%) experienced AEs while receiving pain treatment, two-fifths were prescribed medications to manage these AEs. High pain levels, presence of AEs, and employment status influenced patients’ perception of treatment adequacy. Patients were more willing to inform their physicians when pain levels were higher and when they perceived sufficient time with physicians. These findings revealed inadequate treatment of CNCP in patients from the participating countries/regions. CNCP management may be improved through increased physician-patient interaction time and adopting a biopsychosocial model for treatment. A proactive and multidimensional approach is required to manage CNCP and potential treatment-related AEs so as to provide optimal care for patients experiencing CNCP. Chronic pain (i.e., pain lasting ≥ 3 months) is highly prevalent globally [1, 2, 3] in both developed and developing countries . Across Asia, the prevalence of chronic pain in adults has been reported to vary greatly, ranging from 7% in Malaysia to 60% in Cambodia and Northern Iraq. Older adults are more likely to experience chronic pain, with prevalence rates as high as 40% to 90% [5, 6, 7]. Despite high prevalence rates globally, chronic pain remains inadequately treated around the world [8, 9, 10]. If left untreated, chronic pain can negatively affect patients’ physical and emotional well-being, work productivity, and their quality of lives (QoL). These consequences impose a significant socioeconomic burden on patients, families, and society [6, 7, 11]. Chronic pain of non-malignant origin is referred to as chronic non-cancer pain (CNCP) . Because CNCP has a multifactorial etiology , a multidimensional approach that integrates both pharmacological and non-pharmacological therapeutic strategies is usually required for effective management of pain [14, 15]. International guidelines [12, 14, 16, 17] recommend initiating opioids only when non-opioid and non-pharmacologic therapies are ineffective at managing chronic pain and when benefits of opioids outweigh harm. A short-term trial of opioids at the lowest effective dose may be initiated for selected patients (i.e., no current/past substance use disorder and no active psychiatric disorders) who continue to experience pain despite optimized non-opioid therapy. The ACHEON (Current practices of cancer and chronic non-cancer pain management: A Pan-Asian study) study is the first large-scale multinational survey conducted to evaluate the attitudes and perceptions of physicians and patients toward pain management across 10 Asian countries/regions. Findings from the surveys on cancer  and non-cancer pain patients  were previously reported. The results of the survey conducted in non-cancer pain patients demonstrated inadequate pain control in the participating countries/regions and several barriers to treatment optimization . We conducted an additional analysis on the data from the ACHEON study to gain further insights into management practices for CNCP and treatment-related adverse events (AEs) in the countries/regions surveyed. This report also describes factors that would potentially influence patients’ perception of treatment adequacy and their willingness to report uncontrolled pain. The design of the ACHEON study has been described previously . Briefly, the ACHEON study was a cross-sectional survey conducted in 10 countries/regions in Asia: China, Hong Kong, Indonesia, the Republic of Korea, Malaysia, Philippines, Singapore, Taiwan, Thailand, and Vietnam. Physicians and patients were surveyed between September and December 2013 to assess their attitudes and perceptions toward CNCP management. The present manuscript describes additional analyses conducted on the data collected from non-cancer pain patients who participated in the ACHEON survey. Eligible patients (i.e., aged ≥ 18 years [or 20 years in Korea and Taiwan]; documented history of CNCP in the previous 3 months; willing and able to participate in all aspects of the survey) were recruited via door-to-door visits, phone book, online sources, hospital intercepts, doctor and patient referrals, and patients’ associations. Eligible patients who completed the questionnaire were included in the analyses. Survey data were summarized descriptively for the overall patient cohort. Pain levels and pain intensities were further summarized by treatment at the time of the survey: any opioid (opioid alone or in combination with other prescribed pain treatments), ≥ 2 non-opioids, single non-opioid, or not treated. The incidence of AEs associated with pain treatments was summarized according to opioid prescription status: any opioid or non-opioids. Pain levels between treatment groups were compared using the two-sample t test. Univariate analyses were performed to identify factors associated with the following variables: pain intensity, presence of any common AEs, perceived treatment adequacy, treatment satisfaction, patient-physician interaction, ADL, work, employment status, and QoL. All variables collected in the questionnaire were included in the analyses. Each rating on the 5-point Likert scale was assigned a number, with “disagree completely” and “agree completely” corresponding to 1 and 5, respectively. Continuous variables were examined using one-way ANOVA, while categorical variables were examined using the chi-square tests of independence. Only relationships assessed to be statistically significant and sufficiently robust (≥ 0.40 difference on pain scale or ≥ 10% difference) were reported. Non-opioids were defined as all treatments other than opioids that were prescribed for pain relief, which included non-opioid analgesics, adjuvants (sedatives, sleeping pills, antidepressants, anticonvulsants), traditional Chinese medicine, or herbal medicine. Any common AE was defined as any AE commonly experienced by patients who received opioid treatment, which included nausea/vomiting, constipation, diarrhea, or abdominal pain, according to published data [20, 21]. Statistical analyses were conducted using SPSS Version 16.0 (SPSS software, Chicago, IL, USA) and p < 0.05 was considered statistically significant. Patients’ characteristics and prescribed treatments for pain relief are summarized in Table 1. The present analysis was conducted on the data from 1305 patients. The median duration of CNCP was 24 (interquartile range [IQR], 39) months. The mean pain level on the BS-11 scale was 6.0 (SD 1.9), with the majority of patients reporting moderate (44.4%) or severe pain (44.9%) at the time of the survey. The most common causes of pain were arthritis (33.3%) and poor posture (27.6%). Pain was primarily managed by general practitioners (22.1%); 8.9% of patients consulted pain specialists/anesthesiologists. A total of 212 patients (16.2%) were not receiving any treatment for pain relief. The majority (80.1%) were prescribed non-opioid medications and/or interventions, mainly analgesics (55.9%); 3.7% were prescribed opioids. Figure 1 illustrates patients’ pain levels according to their prescribed treatment for pain relief. Of note, the mean BS-11 scores were in the moderate range across all groups, including those who were not treated. Despite being treated, patients in the opioid group, ≥ 2 non-opioid group, or single non-opioid group reported significantly higher levels of pain than untreated patients (mean BS-11 [SD] scores 6.5 [1.8], 6.3 [1.8], and 6.2 [1.8], respectively, vs. 5.1 [2.1]; all p < 0.0001). The majority of patients in each group were experiencing pain of moderate-to-severe intensity at the time of the survey (74.1–93.8%), with about half across all the treatment groups suffering severe pain: 50.0% in the opioid group, 49.6% in the ≥ 2 non-opioids group, and 46.2% in the single non-opioid group (Fig. 2). Over half of the treated patients (53.8%) indicated they had experienced AEs due to their current pain treatments. Of these, 40.5% reported being prescribed medications to manage these AEs. Figure 3 shows the incidence of AEs according to prescribed pain treatments. The incidence of AEs was higher in patients who received opioids than in those who received non-opioids. AEs such as sleepiness/drowsiness (21.1–41.7%), constipation (7.3–33.3%), nausea/vomiting (10.5–29.2%), dizziness/giddiness (13.7–22.9%), tiredness, swelling on feet or other extremities (5.4–14.6%), abdominal pain (4.8–10.4%), and anxiety (6.3%) were common in treated patients regardless of their pain treatment (Fig. 3). While the majority of patients were experiencing moderate-to-severe pain, only 36.6% perceived their treatments as inadequate to control their pain. Factors associated with patients’ perceived adequacy of treatment are summarized in Table 2. Higher pain levels, presence of any common AE, and employment status were significantly associated with perceived inadequacy of treatment. Patients who perceived treatment to be inadequate had higher mean pain scores than those who perceived treatment to be adequate (mean BS-11 score 6.6 [SD 1.8] vs. 6.0 [SD 1.8], respectively; p < 0.0001) (Table 2). Patients who experienced any common AE were more likely to find their pain treatments inadequate than those who did not (51.5% vs. 32.4%, respectively; p < 0.0001). Those who were employed were also more likely to find their treatment inadequate compared with those who were unemployed (39.7% vs. 31.7%, respectively; p = 0.007) (Table 2). Higher pain levels and patients’ perception of having enough time to discuss with physicians were identified as significant factors relating to patients’ willingness to report uncontrolled pain. Patients who informed their physicians when their pain is not controlled had significantly higher pain levels than those who did not (mean BS-11 score 6.7 [SD 1.8] vs. 6.0 [SD 1.8], respectively; p < 0.007). They also rated higher pain levels in perceiving having enough time to discuss their pain with their physicians than those who did not (mean rating 3.9 [SD 1.0] vs. 3.4 [SD 1.3], respectively; p < 0.003). Over half of the patients (61.5%) were employed at the time of the survey. Of whom, 62.6% stated that their performance at work was affected by their pain, and 53.3% and 41.8% were worried that they will have to stop work or will lose their job due to pain, respectively. The majority of patients (80.8%) indicated pain hindered their ability to perform ADLs. Pain-related hindrance to ADLs was found to be associated with a negative impact on work (Table 3). Patients whose daily activities were hindered by pain gave significantly higher ratings on pain affecting their work performance than those whose ADLs were unaffected (mean rating 3.7 [SD 1.0] vs. 2.8 [SD 1.1], respectively; p < 0.0001). They also gave higher ratings on worrying that they will have to stop work (mean rating 3.5 [SD 1.2] vs. 2.8 [SD 1.1], respectively; p < 0.0001) or lose their job (mean rating 3.2 [SD 1.3] vs. 2.5 [SD 1.1], respectively; p < 0.0001) because of their pain compared with those whose ADLs were unaffected (Table 3). Through a questionnaire-based survey, the present analysis sought to examine current management practices for chronic pain relief and treatment-related AEs and identify potential factors influencing patients’ perception of treatment adequacy and their willingness to report uncontrolled pain. The results highlighted inadequate pain relief despite the majority of patients receiving pain treatment. There is also a possibility that AEs were under-managed as a high proportion of patients who reported AEs did not receive medications to manage the symptoms. Patients’ perception of treatment adequacy was found to be influenced by pain levels, presence of AEs, and employment status. Patients with higher pain levels and who perceived they have sufficient time to discuss with their physicians were more willing to inform their physicians when their pain is not controlled. Additionally, pain-related hindrance to ADLs was found to be associated with a negative impact on patients’ work performance and assurance of job security. Effective chronic pain management aims to restore function and reduce pain intensity . In the present analysis, despite the majority of patients receiving pain treatment, a substantial number of patients still reported having moderate-to-severe pain. Our results also found that almost 20% of patients did not receive analgesic treatment despite moderate-to-severe pain. These findings highlight inadequate pain management. Based on the literature, there could be several reasons for this—under-treatment or inappropriate management of non-cancer pain conditions by a general practitioner or non-pain specialist [23, 24]; comorbidities contributing to pain are not adequately or appropriately managed [25, 26]; or the use of non-pharmacological interventions . To ensure adequacy of pain treatment, healthcare providers need to have an all-rounded assessment of patients such that their current health status and past medical history (for example, comorbidities, contraindications, concomitant medications, and allergies) are accounted for before prescribing an appropriate treatment . Hence, management of complex CNCP requires a multidisciplinary team for optimal patient outcome . Opioids may also be considered in carefully selected patients when optimized treatment options are ineffective, and when benefits outweigh harm [12, 14, 16, 17]. In general, management of CNCP may be improved through education on pain management and assessment, and on pain analgesics and their adverse effects [11, 29, 30, 31]. Pharmacologic options for refractory pain, such as opioids, may be less accessible in several Asian countries due to limited opioid formularies, or highly stringent opioid regulations [11, 32, 33]. Hence, inadequate knowledge on pain and its appropriate treatment options, and inaccessibility to strictly regulated analgesics, such as opioids, may collectively hinder the overall management of CNCP. Similar to Asian countries, CNCP is also variably prevalent in western countries, with rates ranging between 5 and 46.5%, and is considered to be inadequately managed [34, 35, 36]. Published data also suggest that inadequate knowledge of pain management and assessment, limited physician-patient time, and accessibility to essential controlled medications such as opioids are global challenges facing CNCP management that is not limited to Asia [35, 37]. Hence, in these respects, the issues plaguing CNCP and its under-treatment are consistent throughout the world. In this analysis, more than half of patients experienced AEs related to their pain treatments but only 40% of these patients were prescribed medications to manage AEs. Under-management of pain treatment-related AEs may lead to pain treatment discontinuation or non-compliance and could be an explanation for the high levels of pain reported. Consequently, patients may consider pain treatment inadequate. Indeed, it has been reported that AEs, if not managed adequately, can affect treatment adherence or lead to treatment discontinuation, both of which can hinder effective treatment [38, 39, 40]. We also found that patients were more willing to report uncontrolled pain when pain levels are high and if they perceived sufficient consultation time with their physicians. These findings emphasize the need for increased physician-patient interaction time to allow patients to communicate concerns regarding their condition or treatment . Our findings also showed that pain-related hindrance to ADLs was significantly associated with negative impact on patients’ work performance and assurance of job security. The impact of chronic pain on the biopsychosocial effects of patients is well-established [41, 42, 43, 44]. Therefore, physicians are encouraged to adopt the biopsychosocial model to assess and treat CNCP [16, 45, 46]. This survey presents some limitations. Firstly, its inherent cross-sectional design limits our ability to draw any conclusions on the causality of the observed associations. Secondly, patient characteristics had not been comprehensively surveyed; information on patients’ comorbidities, concomitant treatments, disease states, extent of treatment, and courses of therapy are unknown. As we are unaware about the treatment patterns (e.g., dose, treatment adherence, and duration of therapy), we are unable to conclude if the treatment result was because of the therapeutic option or due to the variations in use or prescription. Without these information, we are unable to speculate further about management practices for CNCP and treatment-related AEs. We based our conclusions on the recognized international literature that have previously addressed these types of issues. Finally, AE management was inferred from the types of medications prescribed to patients; however, these medications may have been prescribed for comorbidities, rather than for AEs related to analgesics. Nevertheless, the results of this large-scale multinational survey provide valuable insights into the current standard of care in the real-world setting for patients with CNCP in the participating countries/regions. Future studies assessing longitudinal data would be meaningful for observing trends relating to prescription patterns and management practices for CNCP and treatment-related AEs. 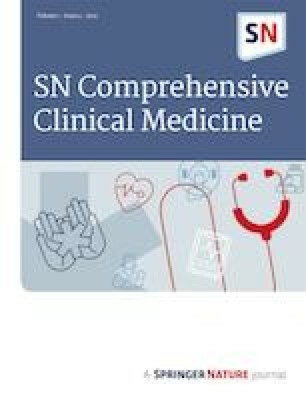 The present analysis revealed that although the majority of patients in the participating countries/regions had received pain treatment, a significant proportion of patients still experience moderate or severe CNCP that adversely affects ADLs, work performance, and assurance of job security, leading to a perception of inadequate treatment. Physicians are encouraged to spend more time to understand the patient’s overall health and to consider biopsychosocial factors when assessing and treating CNCP. Treatment of CNCP warrants a multidimensional approach that includes non-pharmacological strategies, and non-opioid and/or opioid analgesics. Adherence to prescribed treatment regimen and appropriate and timely management of treatment-related AEs are also critical determinants of a successful treatment. The authors would like to acknowledge The Research Partnership Healthcare Asia Pte Ltd. for conducting the survey and data analysis, and Tech Observer Asia Pacific Pte Ltd., Singapore, for providing editorial support. This survey was sponsored by Mundipharma Pte Ltd., Singapore. The sponsor provided funding for the conduct of the survey, data analysis, and medical writing services. Dr. Cheung, Dr. Choo, Dr. Kim, Dr. Lin, Dr. S-H Moon, Dr. Osio-Salido, Dr. Pan, Dr. Vivek, and Dr. Yoon received an honorarium from Mundipharma Pte Ltd. for their participation in the survey. Dr. Osio-Salido has also received lecture honoraria from Mundipharma Pte Ltd. Dr. Hadjiat is an employee of Mundipharma Pte Ltd., Singapore, and Dr. H Moon was a former employee of Mundipharma Pte Ltd., Singapore. Busse JW, Craigie S, Juurlink DN, Buckley DN, Wang L, Couban RJ, et al. Guideline for opioid therapy and chronic noncancer pain. CMAJ. 2017;189(18):E659–E66. https://doi.org/10.1503/cmaj.170363. Chou R, Fanciullo GJ, Fine PG, Adler JA, Ballantyne JC, Davies P, et al. Clinical guidelines for the use of chronic opioid therapy in chronic noncancer pain. J Pain. 2009;10(2):113–30. https://doi.org/10.1016/j.jpain.2008.10.008. Zhang W, Moskowitz RW, Nuki G, Abramson S, Altman RD, Arden N, et al. OARSI recommendations for the management of hip and knee osteoarthritis, part II: OARSI evidence-based, expert consensus guidelines. Osteoarthr Cartil. 2008;16(2):137–62. https://doi.org/10.1016/j.joca.2007.12.013. Ho KY, Ahn JS, Calimag MM, Chao TC, Kim YC, Moon H, et al. Inadequate treatment practices for pain relief and adverse event management in cancer patients across 10 countries/regions in Asia: a call for greater efforts to improve standards for patient care. Asia Pac J Clin Oncol. 2018;14(3):159–66. https://doi.org/10.1111/ajco.12696. Kress HG, Aldington D, Alon E, Coaccioli S, Collett B, Coluzzi F, et al. A holistic approach to chronic pain management that involves all stakeholders: change is needed. Curr Med Res Opin. 2015;31(9):1743–54. https://doi.org/10.1185/03007995.2015.1072088. Kennedy MC, Henman MC, Cousins G. General practitioners and chronic non-malignant pain management in older patients: a qualitative study. Pharmacy (Basel). 2016;4(1). https://doi.org/10.3390/pharmacy4010015. Boldt I, Eriks-Hoogland I, Brinkhof MW, de Bie R, Joggi D, von Elm E. Non-pharmacological interventions for chronic pain in people with spinal cord injury. Cochrane Database Syst Rev. (2014, 11):CD009177. https://doi.org/10.1002/14651858.CD009177.pub2. Miaskowski C, Dodd MJ, West C, Paul SM, Tripathy D, Koo P, et al. Lack of adherence with the analgesic regimen: a significant barrier to effective cancer pain management. J Clin Oncol. 2001;19(23):4275–9. https://doi.org/10.1200/JCO.2001.19.23.4275. Patel AS, Farquharson R, Carroll D, Moore A, Phillips CJ, Taylor RS, et al. The impact and burden of chronic pain in the workplace: a qualitative systematic review. Pain Pract. 2012;12(7):578–89. https://doi.org/10.1111/j.1533-2500.2012.00547.x.